You can control how well your body digests food by eating the right kind of foods, and by taking care of yourself. This blog will explain how to help your digestive system run smoothly, and point out which foods could be slowing your digestion down. Staying hydrated is the number one way to make sure your digestive system is working efficiently. Drinking plenty of water helps flush toxins from the body, moves nutrients where they need to go, and acts as a natural lubricant to soften stool and promote the evacuation of bowels. On the topic of staying hydrated, Kangen™Water is a great way to do it. Drinking this alkaline water improves insulin sensitivity and control blood sugar, protect the cells of the pancreas from oxidative damage, and improve the health of the cells that line the digestive tract. Kangen™Water also improves hydration of the body’s cells as much as 6 times more effectively than tap or bottled water, neutralizes bacterial endotoxins in the digestive tract, and promotes an environment for healthy bacteria in the digestive tract. This water is available from our office—people can call or just stop by for a fill-up. Foods like sauerkraut—along with other fermented foods such as buttermilk, sourdough, kimchi, and miso—contain helpful bacteria that make it easier for you to digest them. 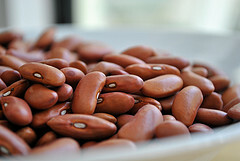 Beans are another super food great for your digestive system. High in fiber, beans are a low-fat way to help digestion. Massaging is another great way to get your digestive system going! Receiving a massage even a few times a month helps retrain your bowel and keep you regular, aiding in overall digestion. High-fat and fried foods can do a real number on your stomach and digestive system, and can even lead to heartburn and acid reflux. Those with irritable bowel syndrome may experience further digestive problems if their intake of these foods is too high. Although calcium is essential in any healthy diet, dairy can be an issue for those who are lactose intolerant—especially when it comes to digestion. Tea, soft drinks, and coffee are guilty of overrelaxing the esophageal sphincter and potentially acting as diuretics. Drinking too much of the aforementioned beverages could lead to cramping, diarrhea, and general digestive problems. Individuals who suffer from GERD typically experience these symptoms more regularly than those without. Lastly, food sensitivities may be causing your digestion to suffer. There are tests you can take to determine whether you suffer from any food allergies or sensitivity. If you need help getting your digestive system in order and want to explore natural, homeopathic remedies, contact us and let us know how we can assist you.